I’ve been a fan of Seanan McGuire since before I knew that her pen name was Mira Grant. It was my sister who hooked me up with McGuire’s series under her own name (October Daye, for those who’re curious — highly recommended) and it’s her copy of Sparrow Hill Road that I read. Let me start by saying that I like ghost stories. I’m not a big fan of movies about ghosts or the stories you tell around camp fires, but I do like ghost stories in novels, especially ones that are more X-Files than traditional. And while there aren’t any FBI agents running around in Sparrow Hill Road, that doesn’t make the story any less X-Files-ish or amazing. Of course, even if you’ve never watched The X-Files, this book is still pretty great. Sparrow Hill Road is about a road, of course, but it’s really about a network of roads … and even then, it’s about a girl (she’s known as the phantom prom date, among other names) named Rose. Of course, Rose is dead. She is the ghost of our story (full of many ghosts). When Rose was sixteen, she was waiting for Gary to pick her up and take her to prom. When Gary didn’t show, Rose went after him and was then subsequently run off the road and thus she died, in her prom dress, at age six. That was in 1952. McGuire’s writing in Sparrow Hill Road is some of her best. Rose’s story is always entertaining, always engrossing and thoroughly engaging. We follow Rose across the years, from 1952 (and even a bit earlier) to 2014. Rose crosses the country and we go with her. In some ways, Sparrow Hill Road is a young adult novel, much of Rose is still sixteen — but the truth is that she’s not. She’d be almost 80 if she’d been alive, but ghosts don’t age. Sparrow Hill Road is a love story. It’s a sad story. It’s beautiful and thoughtful. It’s about both kinds of family — those by blood and those made. It’s also about Michigan, as Rose is from Buckley Township (there is a Buckley Michigan, though I don’t know if these are one and the same). If you live in the state, you’ll definitely recognize some of the city names. Rose died on the road and thus her ghost lives on the road. She’s what’s called a hitchiker. She travels the ghost roads, looking for rides, among other things. But really, Rose is chasing the man that killed her, all those years ago. Unlike many suspense-filled novels, there’s only a sense of urgency when Rose feels it. I didn’t want the book to end, I wasn’t ready to stop reading about Rose. But as the the stories that make up the novel converged into the present day, Rose was ready find some sort of closure. Do we get it? In a manner of speaking. Is it satisfying? You better believe it. Sparrow Hill Road is also about cars and drivers, about staying alive and what happens to the dead in this world of Rose’s. It’s also a bit of a philosophical read, which was a pleasant surprise (perhaps intentional, perhaps not, that’s not important). If you’ve never read anything by Seanan McGuire, Sparrow Hill Road‘s not a bad place to start. In a way, it’s like the best of both Mira Grant (her pen name for when she writes horror/zombies/etc) and Seanan McGuire (the urban fantasy author). So, go pick it up. You’ll enjoy the ghost story, I promise. I’ve said many times to many people that I’m not a big fan of historical fiction unless there’s some sort of fantasy/SF twist and, as a general rule, this is almost always true. There have been a few exceptions, but mostly I find the genre boring without something else. It’s personal preference, I know plenty of people who love historical fiction. I’m just not one of them. Justine Larbalestier’s new YA novel, Razorhurst, is historical fiction with that twist. The main character in Rarzorhurst is Kelpie, a young girl who can see ghosts. She lives on the streets of Sydney in the 1930s, when gangsters ruled the city. At the end of the novel, Larbalestier gives a brief history of her interest in 1930s Sydney and that the events in the novel are basically fiction, but they’re taken from real events and some of the characters are also borrowed from history. But, unlike so many historical fiction novels (that I don’t know), Larbalestier puts more of her fiction into the novel than reality — which is part of the reason I like it. Prior to reading Razorhurst, the only novel of Larbalestier’s I’d read was How to Ditch Your Fairy, which was a cute and lighthearted fantasy novel (almost urban fantasy). Razorhurst is about as far away from that as you can get. Kelpie’s life isn’t easy, in fact it’s exceptionally hard — though she has a couple things going for her. She looks younger than her actual age, she can read, she knows the streets of the area she lives in (this Razorhurst area) and she can see and talk to ghosts. Kelpie doesn’t see the last thing as something that helps her, or at least recently she hasn’t. Growing up, she’d been raised by some ghosts and a couple of actual humans (Neal Darcy and a man named Snowy). But her interaction with people is rather limited and she feels, mostly, more at home with the ghosts than with people. Kelpie’s luck holds throughout the novel, though in some ways it doesn’t hold at all. The world Kelpie lives in is ruled by two ruling gangsters, Mr. Davidson and Gloriana Nelson, and it’s by sheer coincidence that Kelpie finds herself in the middle of that world. She stumbles into the aftermath of a murder and runs into the most popular woman in Razorhurst, Dymphna Campbell. Soon, Dymphna and Kelpie are on the run. Much of the novel is told from Kelpie’s point of view, but many other characters get chapters. We follow Kelpie as she tries to figure out how to survive and what to make of all these people (and ghosts) suddenly in her life. The story skips around and as we follow Kelpie we learn about her past in some chapters, before catching up with the present. Nothing’s neat or easy, which Larbalestier does an excellent job of illustrating throughout the novel. Characters do die and the story isn’t pretty, but it’s not meant to be. I’ve read a couple of review that talk about how this doesn’t seem to be a YA novel, but I beg to differ. The story is mature, but it’s no darker than others I’ve read. But it does set itself apart from other YA novels — even with the ghosts, Razorhurst is a very real novel. It’s dirty and gritty, just like Kelpie’s world. But it’s also about found family, something that I really love (remember my Fast & Furious post?). The heart of Razorhurst (and yes, there is one) is Kelpie’s struggles and how her world changes when she meets Dymphna. It’s about the importance of having people care about you, no matter what your circumstances are. It’s also tangentially about the importance of reading (one of the ghosts in Kelpie’s life taught her to read). It’s also about the differences between poverty and the upper classes, between the middle class and the lowest classes. It’s also about the idea that no matter how much money you have, crime is still crime and you can’t buy respect — and it’s kindness that really counts. I don’t know if Larbalestier will write more, I haven’t read if there will be a sequel, but the story doesn’t need one (though it could have one). In some ways I hope it doesn’t, not because I don’t what to know what happens to the characters, because it seems more real that we don’t know. They don’t know, either, and neither should we. Much of the novel is spent waiting to see what’s around the next corner, how long the’re going to survive and not having all the answers makes the book all that much better. I definitely recommend this book. It’s a fast, harsh, read, but it’s also clear that Larbalestier cares about her characters and we should, too. The story skips around, as we follow Kelpie we learn about her past in some chapters, before catching up with the present. It’s not a perfect novel, few are, but it’s a good book. As I said in my first post about rereading Pratchett, it’s been a very long time since I read these books. I had vague, possibly fond, memories of Equal Rites, but I really didn’t remember anything other than it’s about a girl who wants to be a wizard or something along those lines. And, basically, that’s what the book is about — except, you know, since it’s Terry Pratchett, there’s way more to it. Before I started reading it, though, I talked to my sister about it. She’d recently listened to Mark Reads Equal Rites (you can listen/read his recaps here). One version (found here, on the left) describes the book as such: [when] feminism and sorcery collide. Which, um, is not really what the book is about. My sister, therefore, was disappointed when she finished it and I don’t blame her. You see, Equal Rites is FULL of sexism and misogyny, which is surprising considering that wizards in the Discworld are basically quite sexist. That’s not to make it okay, because it’s not, but that’s kind of the point. The story begins with Eskarina’s birth — a wizard shows up in her village and proclaims that since she is the 8th son of an 8th son, she’ll be a wizard. And in spite of protests from a woman we later learn is a witch named Esmerelda Weatherwax (though everyone calls her Granny), the wizard gives his staff to Esk and then promptly dies. Which is also when he finds out that the baby is a girl, not a boy, and girls certainly cannot be wizards, it just isn’t done. As the novel progresses, Granny Weatherwax feels the same way. At first she, and Esk’s parents, hope that the magic never manifests itself, but when it does, Granny decides the only logical thing to do is teach her to be a witch. That goes as well as to be expected because Esk is, after all, destined to be a wizard. Much of the middle of the book follows Granny and Esk as they try to make their way to Unseen University. Esk grows up quite fast in some ways — including when she runs off from Granny and one of Granny’s friends and ends up on her own trying to get to Ankh-Morpork and the University on her own. She befriends several people and slowly begins to learn the value of the staff she possesses. She also understands that most people aren’t fond of magic and she must learn to hide it. But it’s not until she’s found a caravan traveling to Ankh-Morpork that Esk meets real wizards. She befriends a boy, probably her own age, named Simon, and the wizard taking him to university. Simon and Esk get on all right, but both of them firmly believe that Esk will never be a wizard because she’s a woman (Simon, though, is amendable because he’s much more worldly than, well, mostly people in the Discworld and also just a really nice boy who is friends with Esk). When the wizard accompanying Simon basically tells Esk she can’t become a wizard, she gets angry and runs away. Lots of things happen, including her discovery of the creepy creatures that feed on magic and are attractive to magic. This is how Granny finds her and basically rescues her. The two finish their journey to Ankh-Morpork and the university. Once there, they slowly become accustomed to the pace of life in the city while trying to sort out how Esk will join the school. One day, they run into SImon and the wizard from the caravan, the latter generously (though in a horrible and patronizing way) invite Esk to join them. She does and is given the chance to prove she can be a wizard and, of course, she fails. We learn, later, that it’s because the staff has been protecting her and using her as a conduit for the magic and not Esk using the staff. But before that happens, we follow Granny as she comes up with a very clever way for Esk to enter the university — as a maid, basically. This is all well and good until, as expected, Esk runs into trouble. Obviously everything works out and I won’t go into detail, because half the fun of reading (or listening, as I did) to these books is how one gets both into and out of trouble. Neither Esk nor Granny are feminists in the activist term of the word. In fact, Granny is very set in her ways and believes, as do most people in the Discworld, that women cannot be wizards (and men cannot be witches). There’s no movement of Granny and Esk trying to get the people of Discworld to change their view of the world and accept women into the university. Basically, Esk wants to be a wizard because that’s what she wants to do and Granny wants to make sure that Esk doesn’t destroy the world with her inability to control the wizarding magic she has in her. According to Wiki, the definitely of feminism is the advocacy of women’s rights on the grounds of political, social, and economic equality to men. There is none of that in Equal Rites and that’s fine, there doesn’t need to be (that would be a totally different book, actually). What the book is, though, is a start. There are hints of feminism, especially near the end when it looks like, perhaps, the wizards will in fact let women, not just Esk, into Unseen University. This is not a feminist novel in the same way the books listed here are feminist novels. But it is a novel that lives up to it’s title. 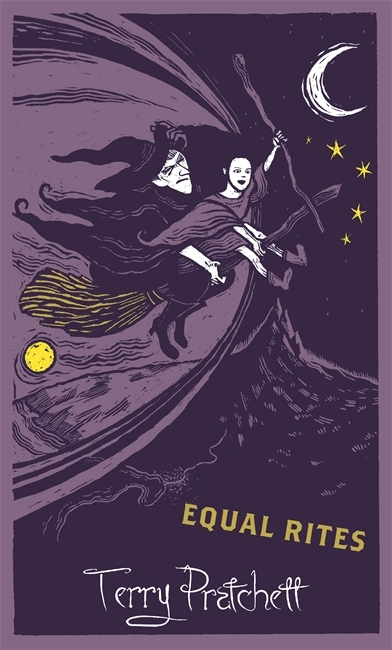 Equal Rites is about equal rights — Esk is a wizard who happens to be a girl and she deserves all the same rights as wizards who happen to be boys. You can read into it, of course — I did major in English in undergrad! But you don’t have to, either. Equal Rites is fun and it’s a shame we don’t get any more books about Esk’s life. Though I’m sure there’s fanfic out there, somewhere. I’ve been a fan of steampunk since I knew what it was, but more recently I’ve come to realize that one of my favorite genres of fiction is fantasy of manners, which is a genre many a series I love fall into. Basically, fantasy of manners is a mashup of historical fiction (often Victorian and Edwardian, among others) and fantasy/magic/supernatural. By themselves, neither genre does much for me. I do like subsections of fantasy/etc (urban fantasy, for example and some straight up fantasy in YA), but usually not and especially not epic adult fantasy/etc. And I’m not a fan of historical fiction in general, either. But when you combine them? I love it! Prudence is part of the same world that Carriger created with her enjoyable and fun Soulless series. Prudence (Rue) is the daughter of the main character from that series (Alexa). She inherited a version of her mother’s ability (when Alexa touches a supernatural being, they become mortal for the whole time they’re touching), in Rue’s case, she literally takes on their supernatural form until enough distance is put between the supernatural being and herself. Rue, her best friend Prim (daughter of Alexa’s BFF, Ivy), Percy (Prim’s brother) and Quesnel (he’s the adopted son of Madame Lefoux, a friend/acquaintance of Alexa) embark on an adventure, which make sup most of the novel. Rue’s adopted father (a vampire, her biological father, and Alexa’s husband, is a werewolf — it is all rather complicated, but very enjoyable) sends her to England to secure some tea (they are British after all) and Rue finds herself in the midst of politics and the supernatural, because of course she does. What transpires aboard Rue’s ship (the Spotted Custard, where the name of the series gets it’s name) is an entertaining romp and return to the world of Soulless. This series acts as a follow up, or sequel series (I guess?) to Soulless but it’s not the only return to this world we’re given. 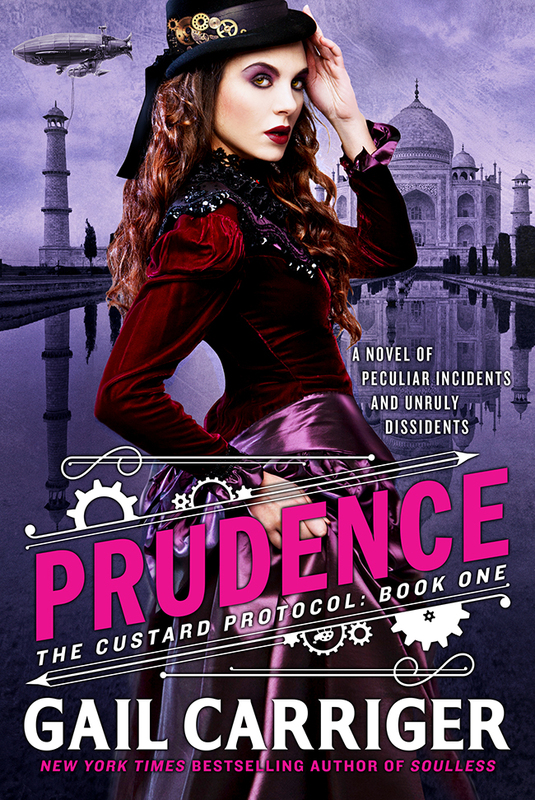 While Prudence and Soulless are very much adult novels (as are the rest of their series), Carriger has given us a truly enjoyable YA series, which takes place as a prequel to Soulless. Her Finishing School series is equally as enjoyable, if not even more so as it follows the story of several girls (a quite a few people we’re familiar with from the Soulless books) throughout their adventures in finishing school and learning the ways of spying, fighting and generally growing up in polite society. While you can pick up Finishing School without having read Soulless and Prudence would most likely be enjoyable if you’re not familiar with the previous books, I don’t know why you would. These series are all a treat to read and quite a lot of fun — which, to be quite honest, is one of the reasons I love them. So, if you want a bit of fun in your fiction reading, why not check out one of Carriger’s fantastic series! You certainly won’t be disappointed. Back when I was in high school, I somehow stumbled upon Terry Pratchett’s Discworld series. I don’t know if my parents recommended it to me or I found it while trawling through the shelves of the public library (or my high school library, which had a small, but decent collection of SF/F books). As I grew up, I devoured these books and then passed them along to my sister (she loved them, too). But at some point I stopped reading them. I read Good Omens, of course, which led me to read books by Neil Gaiman (I have since left him behind, too, but for other and often more complicated reasons). But I never really returned to Discworld or Terry Pratchett’s writing in general. That’s not to say it wasn’t around. My sister still read it and after I became a librarian, we always had his new books in the collection and there are a couple of patrons who read anything he wrote, no matter what it was. And when I started ordering YA/teen books, I was always ordering his newest young adult books. But I still wasn’t reading them. Even when Pratchett announced he had Alzheimer’s and talked about his future as finite, I didn’t go back to reread the books. I admired them, he’d created this amazing world, but I really felt that I’d outgrown the series. And when people asked me why I stopped reading them, that was my answer. But since Pratchett’s death, I’ve begun to wonder if that was the case at all. Ever since discovering audiobooks, I’ve come to realize that the problem is not with the books themselves, but with me. For those who know me personally, I harbor a strong dislike for comedy — especially comedy where people do dumb things and thus make me feel embarrassed for them (called secondhand embarrassment: Urban Dictionary definition and a short, but interesting, article on the topic from Jezebel). This extends, to some extent, to fiction, but not always in the same way. It’s far easier to read through it then to watch it — but I still don’t like reading a lot of comic fiction — either because I don’t find it funny (and instead find it dumb) or I just don’t get it. I figured out a way to get over this and that was through audiobooks. I discovered this by accident, actually. I’d tried to read some of Wodehouse’s Jeeves & Wooster series, but couldn’t get through the books. But then I picked up an audiobook version and found it utterly hilarious. I’ve listened to several other books that would otherwise leave me unable to finish (including more PG Wodehouse, but also some Horatio Hornblower). I’ve often thought that had I listened to Jane Austen, I might actually like her writing — but that ship has long since sailed. That being said, there are plenty of SF/F novels that I want to revisit (including, but not limited to, Hitchhiker’s Guide to the Galaxy, which I cannot stand in book form). Of course, I wasn’t sure this was going to work, because not everything translates well into audio, but once Pratchett died, I thought why not give it a try. And, guys, it totally works. It’s been so long since I read any Pratchett that I’m sure my lack of memory has something to do with it. But I remember enjoying the books — I just don’t remember finding them so incredibly entertaining. Man, audiobooks are awesome and anyone who tells you otherwise is wrong (or, you know, can’t listen, but that’s a different issue). Not all audiobooks are created equally, but these Discworld ones are turning out to be fantastic. I decided, as with my reading of Murakami’s books, to start at the beginning. I picked up the audiobook version of The Colour of Magic (shout out to the Berrien Springs Community Library for sending me both The Colour of Magic and The Light Fantastic on CD through MeL) for my recent trip to Cleveland. I was astounded on several counts, the first of them being how enjoyable the narrator’s voice was. But what really blew my mind was how utterly hilariously entertaining the book was. There are a couple of textual features to Pratchett novels that I wasn’t entirely sure would translate properly to audiobook format — the voice of Death (represented in small caps) and all of the fun and amusing asides (depicted as footnotes). Both of these were dealt with quite well using a bit of voice distortion, or something like that, I’m not entirely sure how to explain it. Without any hang ups left, the books are very enjoyable — at least the first two (as I write this, I’ve just started listening to Equal Rites). The Colour of Magic introduces us to the Discworld itself through the eyes of a failed wizard, Rincewind, and the tourist, Twoflower, he unluckily comes upon, as well as one of the most memorable characters (after Death) in the Discworld universe — the Luggage. Together, The Colour of Magic and The Light Fantastic work hand-in-hand as a very long road trip around the Discworld. Twoflower wants to see the world and Rincewind doesn’t want to, but ends up going with him anyway (he has little choice and it’s very amusing). Along the way, the two characters make friends — especially in The Light Fantastic and by the end of the second book, they’ve both grown as people and we, the readers, have fallen in love with the world they live in. Pratchett’s love for the world he created is evident from the first page of this series onward. The adventures that make up these two books help to keep me interested, but what really makes this novels go is the humor. It’s everywhere! As I said to both my dad and my sister, I couldn’t believe how funny these books turned out to be. Sometimes I’d giggle, sometimes I’d chuckle and sometimes I’d just laugh out loud. It’s actually quite enjoyable to drive in the car while listening to something so entertaining. The Colour of Magic lasted me to Cleveland and back again, plus a day or so beyond and The Light Fantastic lasted me to visit my dad and back again, plus a day or so beyond that. I’ve managed to track down copies of the rest of the series and I plan to listen until I get tired of it or want to listen to something else. If you can find copies of these audiobooks, I cannot recommend the first two enough. And, based on my first half hour of listening to Equal Rites, I’m enjoying that one as well. I play to write reviews, probably not this long, for all of the Discworld novels that I listen to. After reading The Night Circus by Erin Morgenstern, I knew that I wanted to find a similar book. something that was a little bit real and a little bit magic. I’d already read Kowal’s Glamourist Histories and much of Murakami’s stuff rides the edge between real and magical (without magic), but I was looking for something different. Basically, I wanted another book like The Night Circus. This turns out to be a very hard thing to find, especially if what you’re looking for is an audio book. I was in a bind, too, because I was at work and I needed something to listen to on the way home later that day. I’d dug around on the internet, using databases such as Novelist, but it was sending me around in circles – looking for things that the library I was at didn’t own or books that didn’t really interest me. But then, randomly, I stumbled upon Jo Walton’s book Among Others. It’s a book about books – sort of. It’s about science fiction and friendship and growing up and magic. Which is sort of what The Night Circus is about (replacing science fiction with the circus), so that made it even more appealing to me. Or at least it seemed like it had potential. I ended up calling my sister after work and she’d read the book and then spent some time reading reviews of it and I decided that I’d rather listen to it than my other option (a Joe Hill novel). What a good choice I made. You see, Among Others is amazing. No, really, it’s amazing. Which I think is how I felt about The Night Circus. It’s the story of Morwenna, a teenager who can do magic. It sounds like every other YA out there and though Walton’s novel is usually found in the adult section (though by no means should you keep teenagers from reading it – they’ll love it), it is a coming of age story. But it’s about love – not just romantic love (though there is a some of that as well) but love as it relates to families (immediate and extended), friends, science fiction and the world at large. What is especially appealing to me, as a book lover and a part-time obsessive fan (the rest of the time is spent working, otherwise I’d be a fulltime obsessive fan), is the fact that Morwenna is exactly that. She is obsessed with reading science fiction. Although the novel is set in the late 1979/1980, it could be set any time – except for the references to specific SF titles scattered throughout the story. Morwenna is passionate about SF and one of the conflicts she runs into is that it’s hard to find SF fans like herself. I’d like to think that if Morwenna were a teenager today, she’d have a lot easier time finding friends. You don’t need a working knowledge of modern SF to enjoy this novel. You probably don’t even need a working knowledge of classic (as it were) SF to enjoy it – but it helps, especially if you’re familiar (even if it’s just the films) with the Lord of the Rings universe. Waltson leaves SF references throughout the text like leaves in the fall. Sometimes you rake them up in jump in them, reveling in the fact that you know exactly what she’s talking about and other times you gently push them aside because you don’t know, but might want to one day. And, of course, because everyone doesn’t like everything, there are those you stomp on and walk past. But overall, if you have a love for SF, you’ll love Among Others. Stepping back from the SF, though it’s integral to the novel, you have Morwenna’s story. She can do magic, she doesn’t want to do magic, she has a twin, but then she doesn’t have a twin. She’s run away from home, but things are more complicated that the. The very beginning of the novel sets the tone for the rest of the book, you get a healthy dose of magic and while it’s a bit confusing, everything comes clear in the end – and I wouldn’t change it. Morwenna wants to both do what’s right and to be happy. She wants to be herself, without compromising, which as all teenagers know, is hard to do (especially if you’re not quite sure who you are – which is, I think, in part the heart of Among Others). Walton’s cast of characters, aside from Morwenna, are deftly illustrated and described. And while this book wasn’t as perfect to me as The Night Circus, I did love it almost as much. All books have flaws and Among Others is not without them (flaws, though, that are in the eye of the beholder in this case). But they do not, in any way, detract from the novel as a whole. If you can, I highly recommend the audio book version, but the print one should do very well. And as you can’t take notes while you’re driving, if you read the print version, you might be able to list the books you want to read, later. 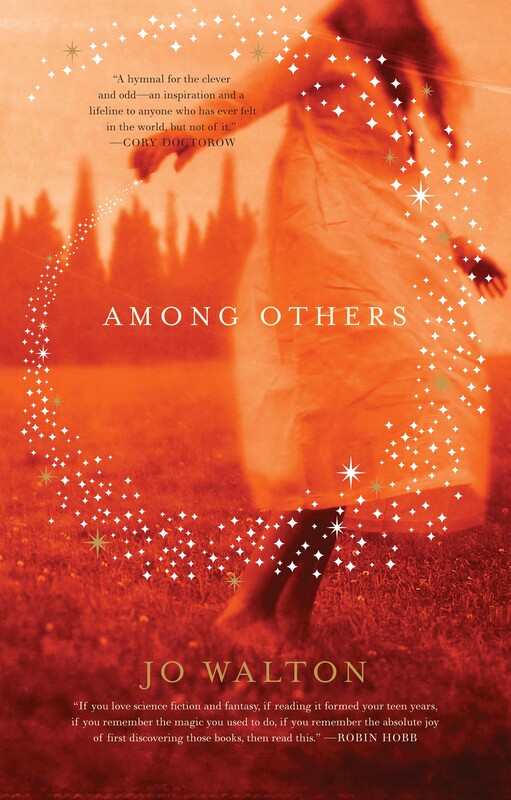 Among Others is magical realism – it’s a little bit magic and a little bit realistic. But it’s also a love story to science fiction novels of the 70s and early, but even more, it’s a book about loving books – and those are hard to come by. Even if you’re only a tiny bit interested, you should read Among Others maybe you don’t like SF, but you will certainly like Morwenna.